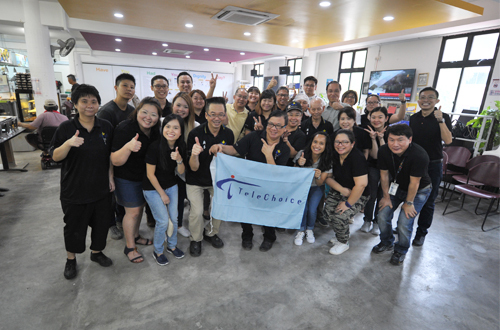 TeleChoice's staff played host to Moral Welfare Home residents at a "Lunch Treat for the Elderly" session. 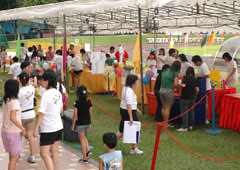 The lunch treat programme is a social outreach initiative run by Dignity Kitchen, Singapore's first hawker training school for the disabled and disadvantaged. 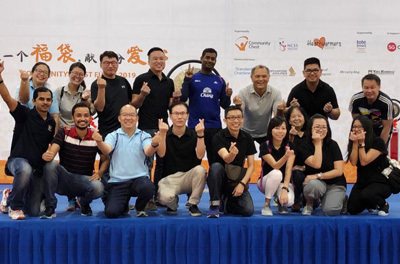 Staff also raised a total of $20,000, supported by a dollar-for-dollar match from the company, to sponsor approximately 25 lunch sessions for 1,000 elderly from different charity and welfare organisations. 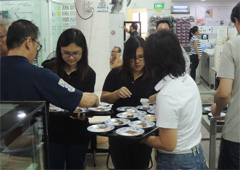 We continued our support of Dignity Kitchen's "Lunch Treat for the Elderly". 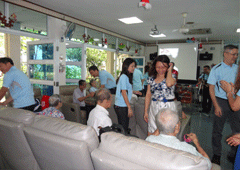 Five lunch sessions and a mega lunch session with a karaoke competition were organised for the elderly. 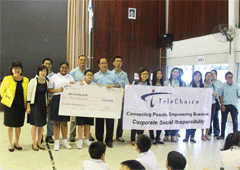 Our efforts benefited close to 180 elderly with $11,000 raised through staff donations matched by TeleChoice. In our third-year partnership with Dignity Kitchen, we donated $10,000 in support of their social outreach programme "Lunch Treats for the Elderly". 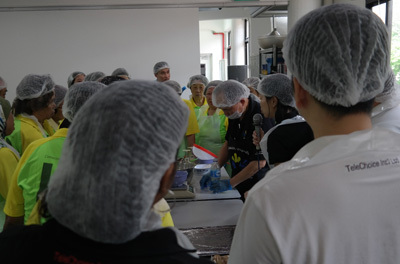 This year's programme also included a snow skin mooncake-making session for the elderly led by a disadvantaged hawker from Dignity Kitchen. 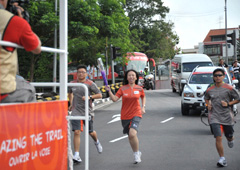 TeleChoice kicked off the first CSR event of the year with our participation in Community Chest Fu Dai 2018, an annual event that brings together the private and public sectors to share the Lunar New Year festive joy with the donation and distribution of Fu Dai or fortune goodie bags to the less fortunate. 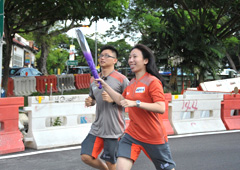 Our staff volunteers packed and delivered over 200 Fu Dai which contained 13 essential food items and a commemorative EZ-Link card to beneficiaries staying in the Clementi estate. 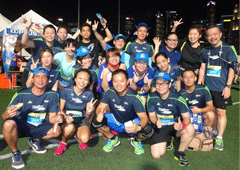 In celebration of Community Chest's 35th anniversary and as part of the Group's CSR initiatives, TeleChoice participated in the Heartstrings Walk 2018 on 25 August. 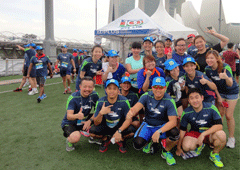 Organised by Community Chest and Marina Bay Sands, the event aspires to bring together partners, volunteers and social service users, to collectively build a caring and inclusive society. 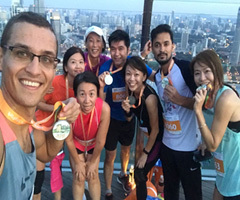 TeleChoice's staff formed two teams of four marathoners each in the Race to the Sky Vertical Marathon which involved a sprint up 57 storeys to the Marina Bay Sands Skypark. 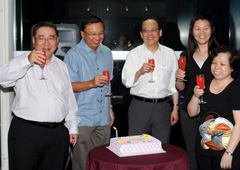 They were joined by Speaker of Parliament Mr Tan Chuan-Jin and Community Chest's social service users. 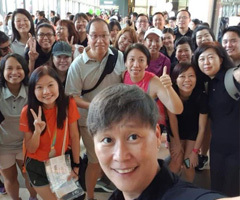 Additionally, 80 staff and their family members, led by President of TeleChoice, Mr Vincent Lim, joined the 4km FUN Walk and Family Carnival along the picturesque Marina Bay Waterfront Circuit together with 30 members from the Singapore Cancer Society. 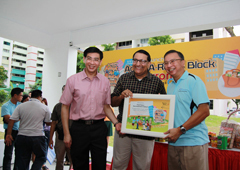 The event was graced by Deputy Prime Minister Teo Chee Hean and TeleChoice raised a total of $5,000 in support of Metta School, MINDS Towner Garden School and AWWA Integrated Services. 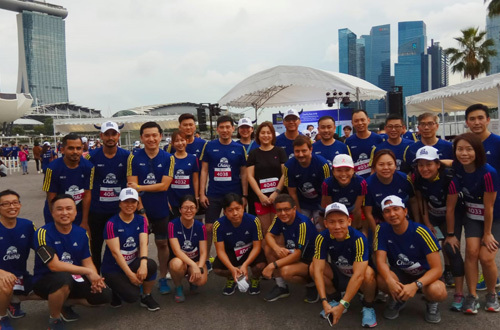 30 staff from TeleChoice's Enterprise Business Group, together with our partner Oracle, participated in the 2018 SGX's Bull Charge Run, an annual charity run that brings together the financial industry and SGX-listed companies to raise funds. 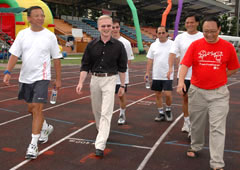 This year's run included five inflatable obstacles on the running course which participants have to scale, bringing an added element of fun and energy. 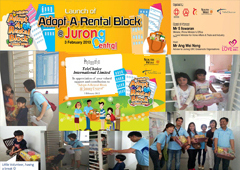 The event raised over S$3.3 million in proceeds for SGX's adopted beneficiaries such as the Autism Association (Singapore), AWWA Ltd, Community Chest, Fei Yue Community Services, HCSA Community Services, and Shared Services for Charities. 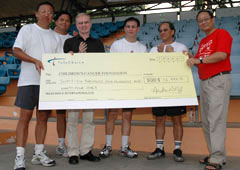 For the second year running, TeleChoice participated in Community Chest's Fu Dai charity event. 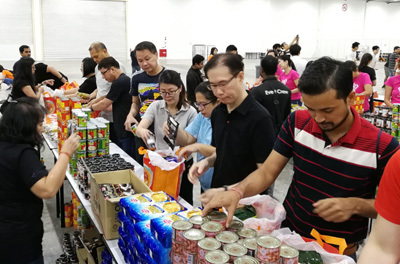 20 staff volunteers from the different divisions packed Fu Dai or fortune bags containing necessities and food items and deliver them to more than 200 less privileged households under the care of Lions Befrienders, a social service organisation that supports seniors in the community. 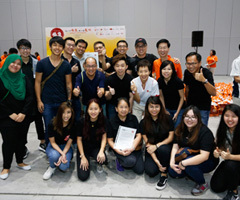 The guest of honour for Fu Dai 2019 was Mr Desmond Lee, Minister for Social and Family Development and Second Minister in the Ministry of National Development, and together with fellow volunteers from different organisations, the initiative brought much warm and joy to the service users during this Lunar New Year festive season. 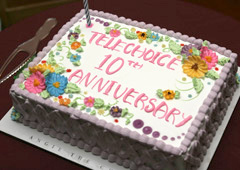 Copyright © , TeleChoice. All Rights Reserved.